C3J Therapeutics, Inc. (C3J) a private clinical stage biotechnology company focused on the development of novel targeted antimicrobials based on bacteriophage, announced on 4/2/19 that the United States Patent and Trademark Office (USPTO) has issued patent No. 10,221,398, entitled “Compositions of and Methods for In Vitro Viral Genome Engineering.” The patent, which covers the composition of a synthetically engineered Pseudomonas aeruginosa phage, is an important addition to C3J’s expanding patent estate, and the Company’s first issued patent covering its proprietary technology platform that enhances natural bacteriophage through genetic engineering. The patent includes claims intended to improve host range and increase the antimicrobial activity of wild type (natural) phage, including activity against biofilm. C3J possesses a significant library of naturally occurring phage and other biological materials that are critical for the creation of synthetic phage via the C3J phage engineering platform. C3J currently has 3 candidates in development in their medical pipeline and 2 in their dental pipeline. In February of 2018, C3J acquired Synthetic Genomics engineered bacteriophage platform. Seres Therapeutics, Inc. (Nasdaq: MCRB) announced on 4/2/19 that new preclinical data supporting the development of microbiome therapeutics for immuno-oncology (poster title “Leveraging gut microbiota networks to impact tumor immunotherapy”) will be presented by Sceneay et al. at the 2019 American Association for Cancer Research Annual Meeting (AACR) in Atlanta, Georgia. The data presented provide new insights on the potential mechanism by which Seres’ microbiome therapies, including the Company’s SER-401 program, could improve outcomes of cancer patients treated with immune checkpoint inhibitors. Seres presented preclinical results evaluating the impact of various consortia of bacterial species on the anti-tumor immune response in murine models following treatment with an anti-PD-1 checkpoint inhibitor. Results demonstrated that germ-free or antibiotic-treated mice lacking a functional gastrointestinal microbiome failed to mount an effective anti-tumor response when administered anti-PD-1 checkpoint inhibitor treatment. 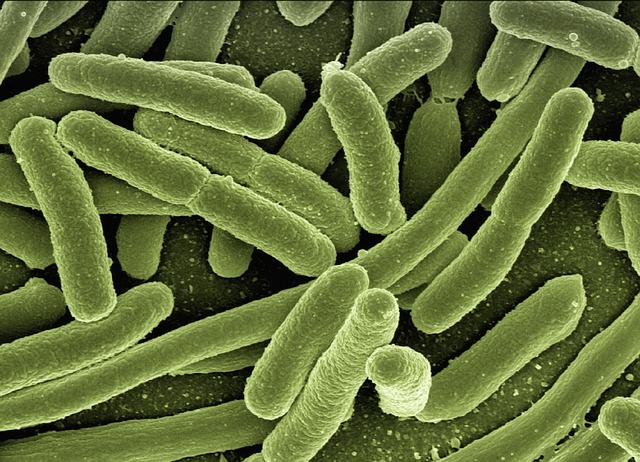 The response to anti-PD-1 treatment was restored by the introduction of a specific consortia of commensal bacteria rationally designed using insights from both in vivo and human microbiome signatures of response and the functional properties of specific bacterial strains in Seres’ strain library of gastrointestinal bacteria. These data provide support for the continued development of SER-401, an oral microbiome therapeutic candidate sourced from screened healthy individuals who have been identified to have a microbiome bacterial signature similar to that observed in responders to cancer immunotherapy. The therapeutic aim of SER-401 is to modify the microbiome of cancer patients to increase the efficacy of immunotherapy. SER-401 is being evaluated in a Phase 1b clinical study (NCT03817125) conducted in collaboration with The University of Texas MD Anderson Cancer Center and the Parker Institute for Cancer Immunotherapy in patients with metastatic melanoma. In addition, Seres has an ongoing collaboration with AstraZeneca to advance the mechanistic understanding of the microbiome in augmenting the efficacy of cancer immunotherapy, including in combination with agents in AstraZeneca’s oncology pipeline.